I am a member of the B-CU Phenomenal Women Think Tank, Mary McLeod Bethune Trac-O-Dram Theater Arts Group, an active member of Alpha Kappa Alpha Sorority, Inc., a member of Mount Carmel Missionary Baptist Church, Black Male Explorer Mentor, B-CU Orientation Leaders, Lead Tour Guide of the Mary McLeod Bethune Home, and Black Male Think Tank Female Liaison." I hope to become a Director of Theater Arts at a Historical Black University with the hope of inspring young professional artists the way others have inspired me. 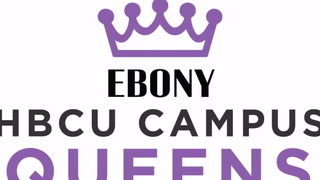 My most memorable contribution as a Queen has been the ability to continue mentoring incoming freshman and providing them with a tangible example of what it means to be a Bethune Woman.